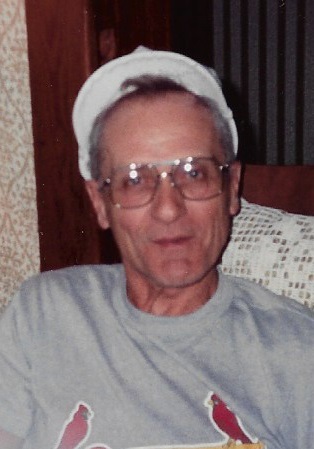 Leonard T. 'Len' Yancy, 84, of Mansfield died at 1 a.m. Friday (March 15, 2019) at Farmer City Rehab & Nursing Center. There will be a funeral service at 4 p.m. Wednesday, March 20, at Blair-Owens Funeral Home, 102 E. Dunbar St., in Mahomet. The visitation will be two hours prior to the funeral at the funeral home. Military honors will be accorded by Mahomet American Legion Post 1015. In accordance with Len's wishes, he will be cremated and his ashes will be buried at a later date. Leonard was born on June 27, 1934, in Toledo, Ohio, a son of Thomas and Lois (Frantz) Yancy. Survivors include two daughters, Melissa (Curtis) Godbee of Mansfield and Lori Yancy of Sandusky, Ohio; one son, Steve (Ashley) Yancy of Mahomet; eight grandchildren, Alexis Godbee, Curtis Godbee Jr., Corissa Godbee, Angel Yancy, Taran Perry, Austin Yancy, Skyler Yancy and Ryan Yancy; and several nieces and nephews, Dianna Roberts, Susan Miceli, JT Yancy and Bernard Yancy Jr. He is preceded in death by both parents and his brother, Bernard Yancy. Len's hobbies were wide and varied, as he enjoyed roller skating, golfing, softball and amusement parks. He also took pleasure in big band music. Bowling was also a passion for Len, and he bowled two perfect 300 games, one in 1970 and the second in 1972, and was inducted into the Champaign County Bowlers Hall of Fame in 1986. Len served his country in the Air Force and was stationed in Tokyo, Japan, during the Korean War. Later in life, he worked as a police officer for the Champaign County Sheriff's Office from 1972 to 1984. Len also earned the title of "miracle worker," while working at Kraft, where he was a machinist, earning retirement in 1996.